We are massive supporters of the NHS and most of the staff we have met within the health service and accompanying services are wonderful. But we just wanted to compile this list to show people the amount of things above and beyond the basic provisions we have provided for Helena. We try as much as possible to fund what we can ourselves, but many of these things would not have been possible without the additional assistance of fundraising and the kind support from charities we have received. I’ve tried to give very approximate costs purely to indicate the astronomical costs of niche disabled products. Thank you again for all the things we have only managed thanks to the kind donations and support we have received. £5,000 Top up above the council grant DFG that provided a downstairs bathroom, door widening, level threshold and ramp access. The cost of these works exceeded the maximum council grant amount. £1,500 driveway and off road access. £3,000 groundworks, leveling and paving for wheelchair accessible outdoor space. £270 for accompanying raincover and sunhood for specialist NHS pushchair. NHS provided the chair, but not the accessories. £100 safe sip straws and drink covers and specialist angled, lightweight spoons. £600 second-hand self-propelled lightweight wheelchair. £20 chest strap restraint that we use in chairs and on the disabled swing for Helena. £100 specialist easy dressing clothing. £150 floor activity mat and positioning aids. £80 microbead positioning cushions to position Helena at night time. £80 video and sound monitor for night time. Multiple pairs of extra wide shoes to fit over AFOs. 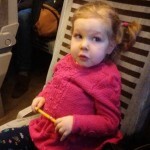 £10,000 trips to Paris and hospital costs for initial assessment and following 4 loading dose trips to Paris to receive Spinraza through the compassionate use programme for medicines prior to approval. This allowed us to access Spinraza for Helena 6 months earlier than the UK. Every day matters with access to treatment. £20,000 wheelchair accessible van. We are paying for this via mobility payments. Multiple trips to London and other regions for specialist care and equipment. At least 8+ trips to GOSH per year. £80 specialist pencils and stationary (special scissors, non slip mats etc). £30 per month special food requirements. 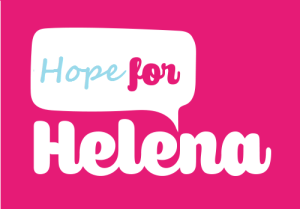 £9,000 adaptions for Helena to attend school. Things we would like to consider for Helena in the future. Continual works to make the house wheelchair accessible (making the kitchen and rear garden powerchair accessible). Horse riding for the disabled (if feasible).